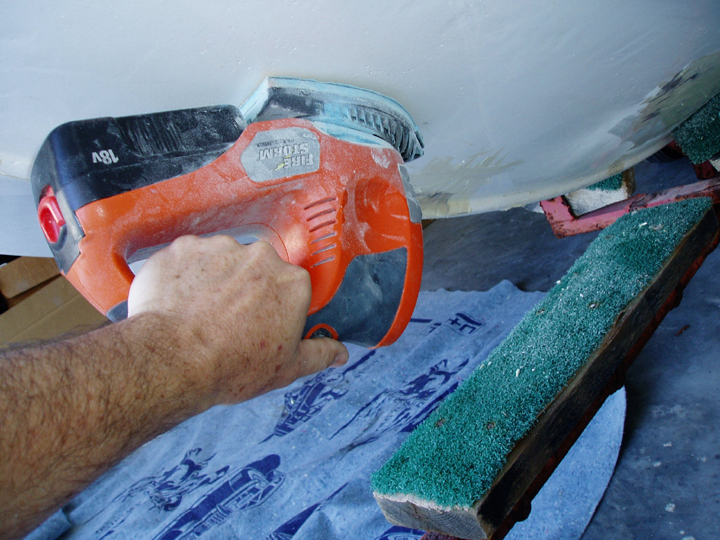 Repairing dings and holes in the hull of your Boston Whaler 13, 15, 17 or larger boat is not as difficult as you would think. Especially if the hole has not caused any delamination between the hull and the foam. The steps to fixing a simple ding or small hole are as follows. First sand the area. I use a disc sander. 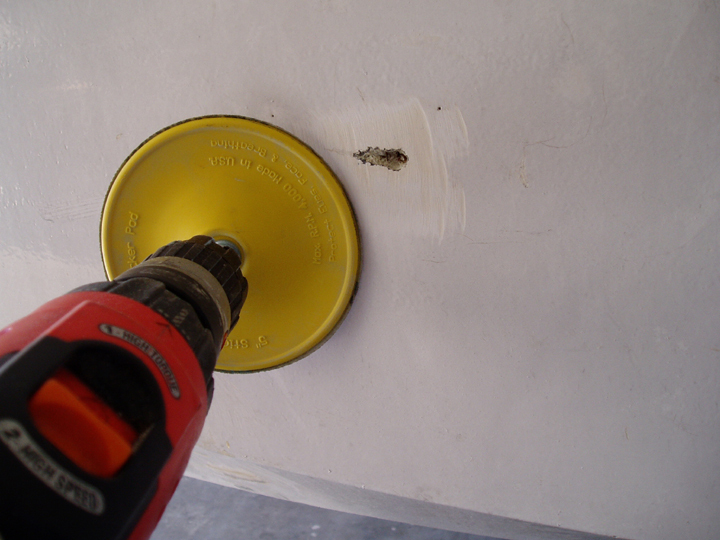 You want to create a rough area around the hole or ding for epoxy to stick to. Next you will fill the hole or ding with epoxy that has been thickened with colloidal silica. This is simply a filler that you add to epoxy to give it more substance. West Epoxy systems carry this. I normally mix my epoxy and hardener together and then immediately stir in the colloidal silica. You have about 15 minutes to use the epoxy so you need to get it thickened quickly. 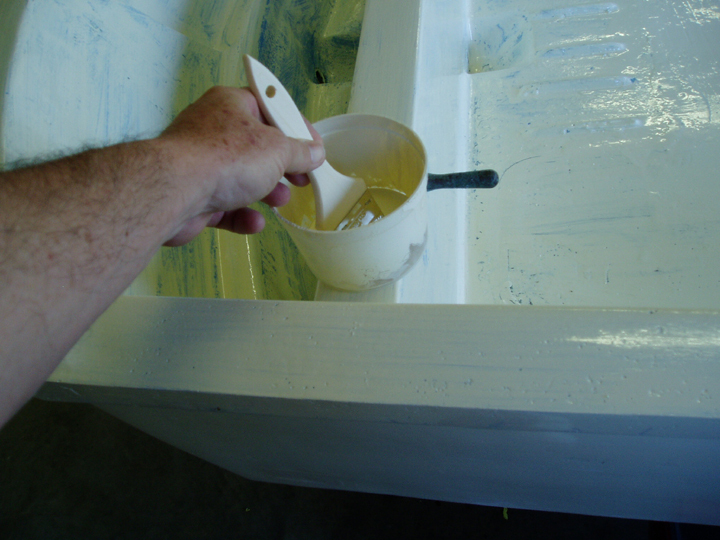 Once mixed you simply take a bondo spreader and putty into and around the ding or small hole. Spread it onto the roughened area around the ding as well. Get it as smooth as you can. Note – you can also use Marine-Tex. Now you are going to take a vibrating sander and smooth out the area. You can use a medium grit and then switch over to a finer grit. 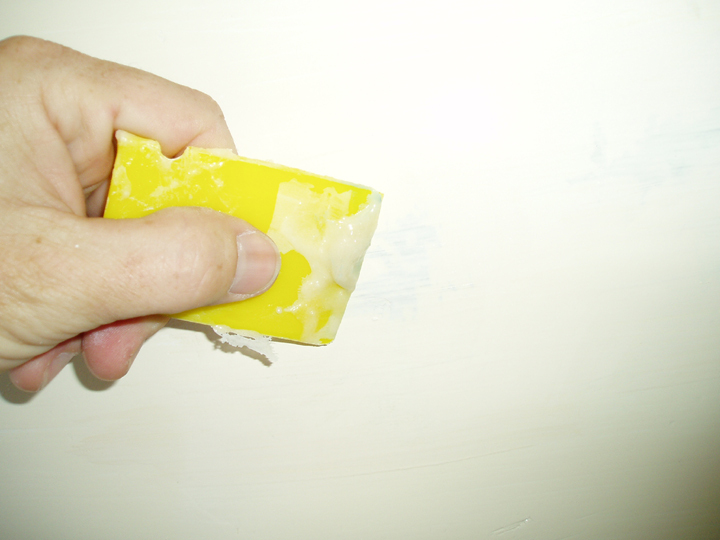 If you need to you can mix some more epoxy and spread a thin coat to fill in any imperfections. Then sand again until it is perfectly smooth. After the area is smooth you just wipe it down with a solvent thinner and paint the area with a topside paint. For larger holes see our article to the right.